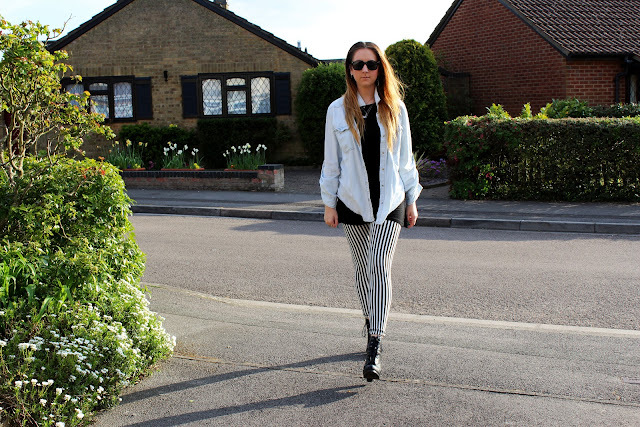 Denim Shirt: Primark / Black Tee: H&M / Leggings: Market / Shoes: New Look / Jewellery: Mixed / Sunglasses: Primark. really nice! your jewellery is awesome! Big fan of Beetlejuice legs right now. You look super cool!